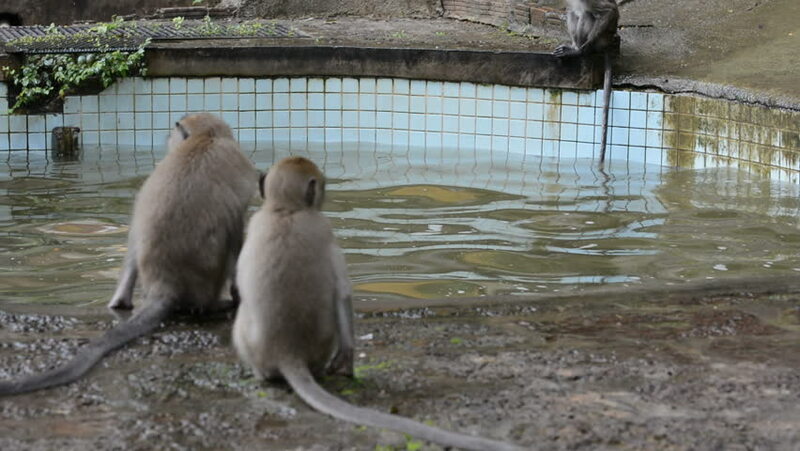 Monkey bathes in the temple pool. Hundreds of families of monkeys live in the tiger cave temple , krabi provine , south thailand. hd00:21A baby panda playing with Mother.